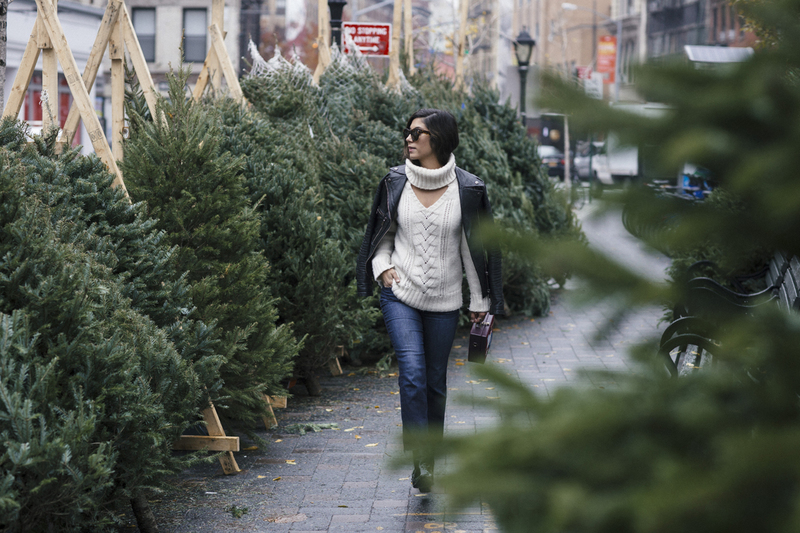 When it comes to picking out the perfect Christmas tree in New York, there’s a bit of hunting to do. You can’t simply just get one at the first lot you go to. No. That would be far too easy. 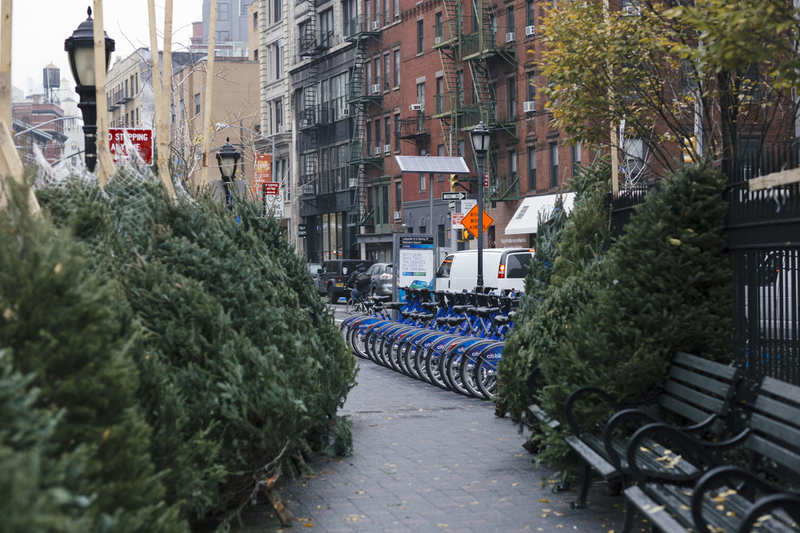 And we all know New Yorkers love it when there’s a bit of a challenge involved, right? 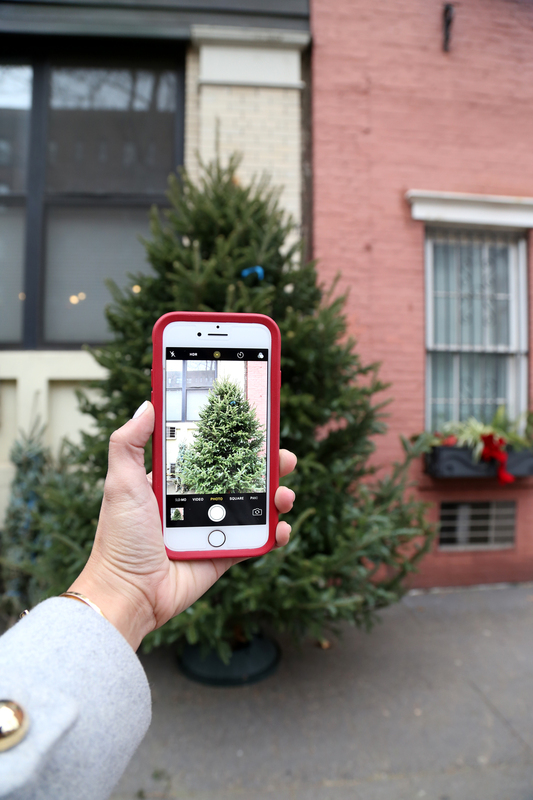 This year, I debated back and forth on whether or not I should get a real tree. It’s been a few years since I’ve had a real one, mainly because I was afraid Elvis would try drinking the tree water all the time. But this time, I’ve decided to go for it and have been patiently checking out each lot that I pass on my way to meetings around the city. Most are too big (alas, I wish I had that penthouse on the Upper East Side with high ceilings, but I don’t) but many are just about right (even better if they’re marked as the Charlie Brown Special) and I’ve been diligently documenting each one and sending photos to my guy and friends along the way, hoping for feedback. 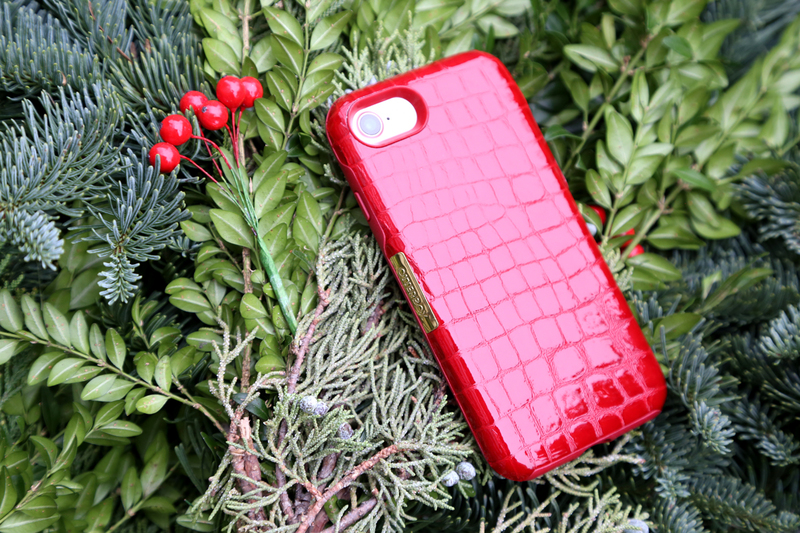 Luckily, I’ve just updated my OtterBox case to match my festive shopping outings — this leather Strada case is perfect for the season and even as I was purchasing my tree the other day, the lot attendant mentioned that Santa would approve of it. And I have to agree. 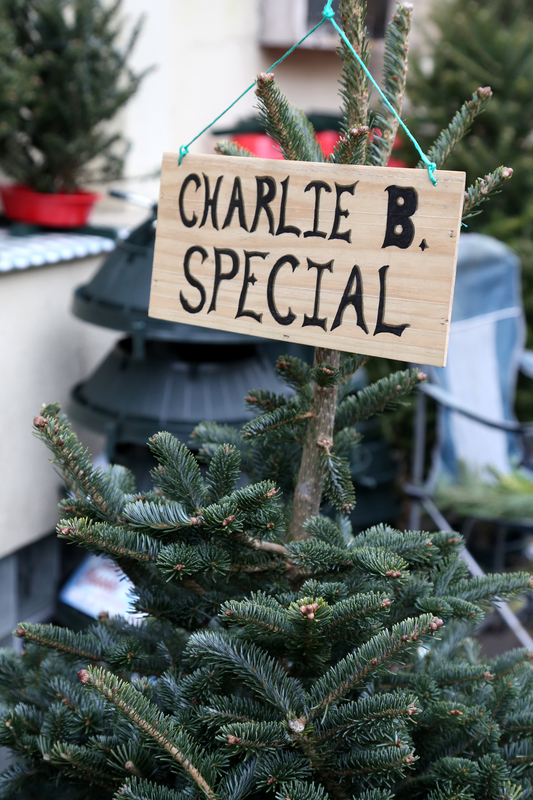 Stay tuned for a little peek on Instagram where I’ll share the big unveiling of my little Christmas tree. This post was in collaboration with OtterBox. As always, all opinions and styling are my own. Thank you for supporting all This Time Tomorrow collaborations! These are such a sweet photos! I’m loving your jacket and shoes! 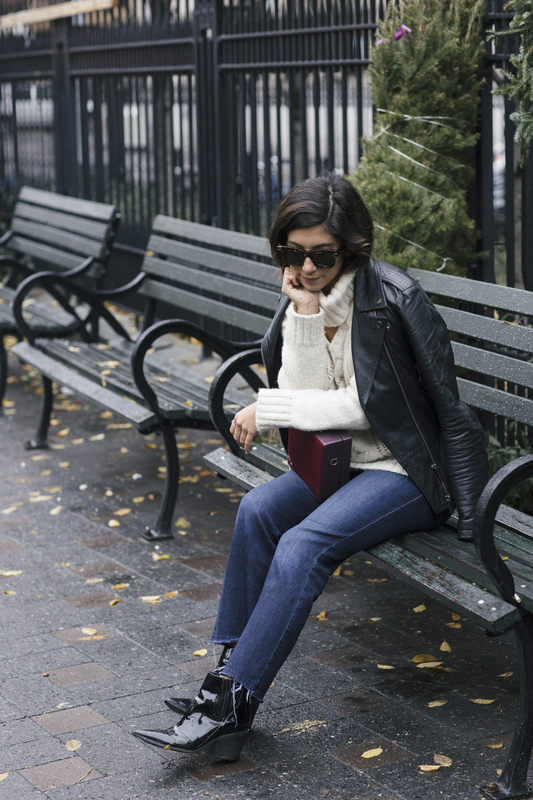 what a cute winter outfit, love the pretty sweater! So pretty! 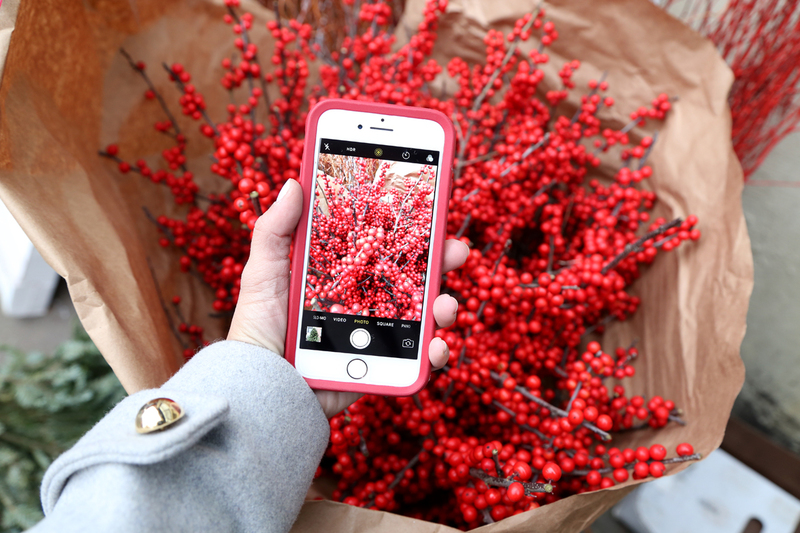 I love love decorating with berries… such fun little pops of color!